Location: Kiosks are located inside the exhibit hall. Click here to view the exhibit hall floor plan. • One side of a 4-sided pre-built structure furnished with two (2) stools. Money20/20 will coordinate all set-up and teardown of the kiosk structure. 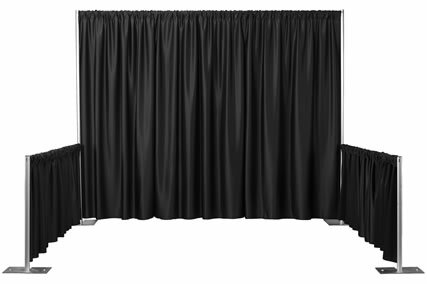 • Your logo will be printed on the top panel, the middle panel will be your own design and the bottom panel will display the Money20/20 logo. •	The kiosk area will be carpeted in black. •	Complimentary wifi will be provided in the exhibit hall, however, if you need a faster, more reliable connection, we strongly recommend ordering a dedicated internet connection from SES. A/V and other services may be ordered online through the GES Exhibitor Kit. Catering must be ordered through SES. Due to fire marshal regulations, additional furniture, displays, promotional materials, signage, etc. are not allowed to be placed on the floor surrounding your kiosk. There is a very small storage space accessible through the side of the kiosk, located underneath the countertop. For any additional materials that you need to store, we recommend contacting GES for storage. **Please note that artwork submitted after the deadline may be subject to additional charges. 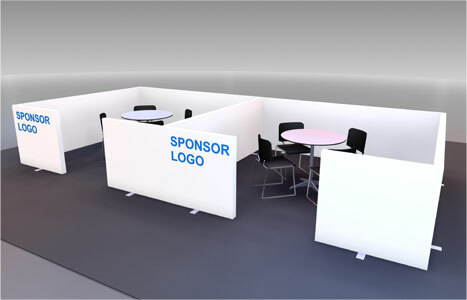 Location: Meeting cubes are located inside the exhibit hall. Click here to view the exhibit hall floor plan. • Each meeting cube will be set with one (1) table and six (6) chairs. • Each cube is branded with your logo on the front panel next to the door of the structure. • The meeting cube area will be carpeted in black. • Complimentary wifi will be provided in the exhibit hall, however, if you need a faster, more reliable connection, we strongly recommend ordering a dedicated internet connection from SES. Meeting Cube Display Guidelines: • Due to fire marshal regulations, furniture, displays, promotional materials, signage, etc. are not allowed​ ​to be placed on the floor surrounding your meeting cube. • Any items placed in your meeting cube must be confined to the inside of your cube. • Additional branding/signage is not allowed on the outside walls of your cube. • Must abide by all exhibitor rules and regulations. Meeting cube logo must be submitted by August 16th. Location: Meeting pods are located inside the exhibit hall. Click here to view the exhibit hall floor plan. • Each meeting pod will be set with one (1) table and four (4) chairs. • Each meeting pod is branded with your logo on the outside front panel. • The meeting pod area will be carpeted in black. 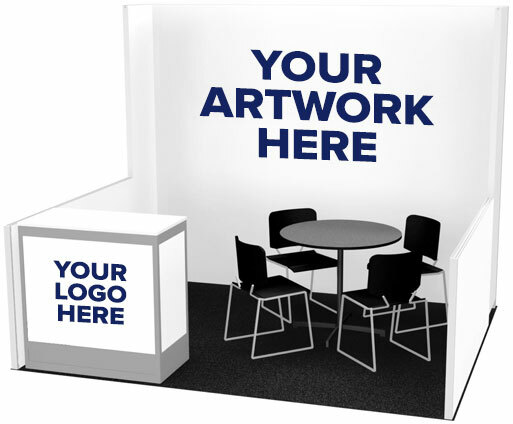 Meeting Pod Display Guidelines: •Due to fire marshal regulations, furniture, displays, promotional materials, signage, etc. are not allowed​ ​on the floor surrounding your meeting pod. •Any items placed in your meeting pod must be confined to the inside of your meeting pod. 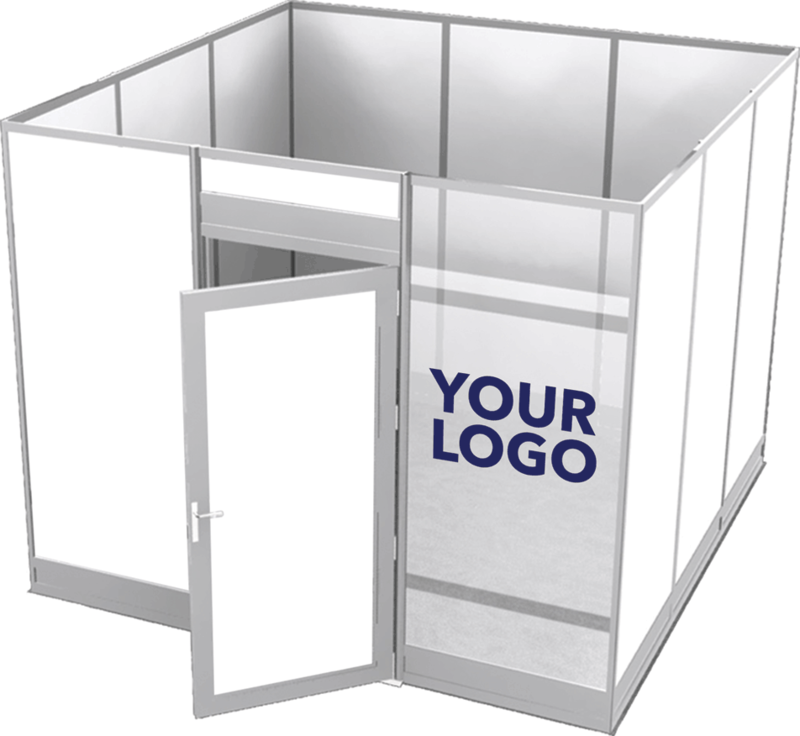 •Additional branding/signage is not allowed on the outside walls of your meeting pod. •Must abide by all exhibitor rules and regulations. Meeting pod logo must be submitted by August 16th. Location: Booths are located inside the exhibit hall. Click here to view the exhibit hall floor plan. • Booths 300 sq. ft. or less will receive a 7” x 44” one-line identification sign. Booths larger than 300 sq. ft. may receive a 7" x 44" one-line identification sign upon request. Insurance & EAC Requirements Don’t forget to check the insurance requirements click here. Display Guidelines Click here to view display guidelines including booth height and hanging sign restrictions. Click here to view the GES Exhibitor Kit. Location: Turnkey booths are located inside the exhibit hall. Click here to view the exhibit hall floor plan. All graphics must be submitted by August 16.